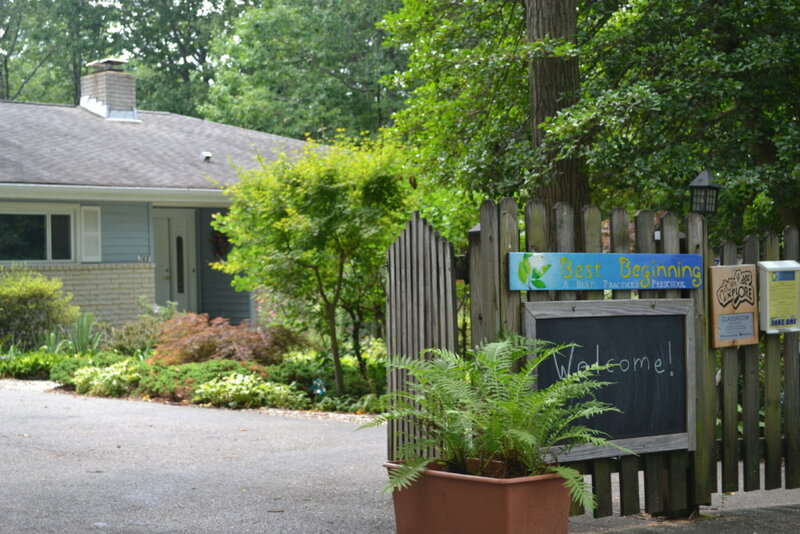 Best Beginning Preschool is located in a house on one acre of land in Annapolis. 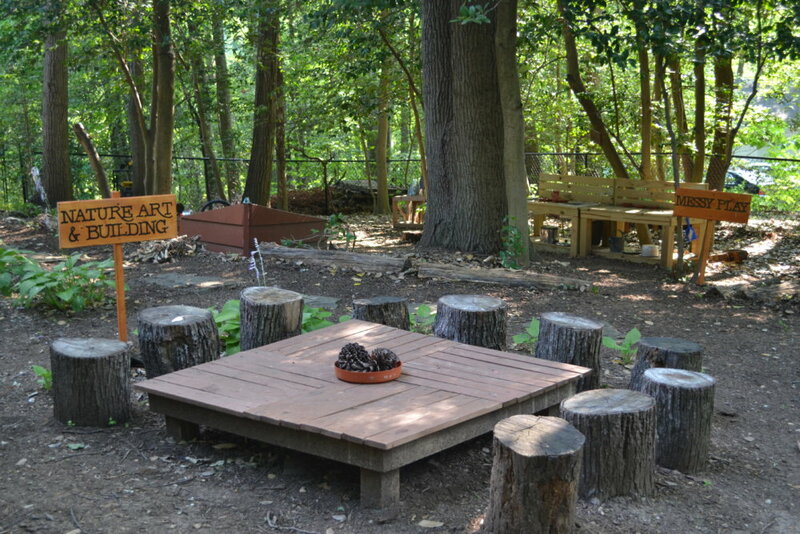 The front of the house has an outdoor classroom that includes a stage, garden, nature art and building area, messy play area with a boat sandbox and mud kitchen, low ropes course, a mini-zip line, a playhouse, and child sized picnic table for outdoor lunches. There is also a large driveway for riding toys and a meeting space for group reading and meetings. Best Beginning backs to the woods and a stream, perfect for short hikes and stream studies. There is a local playground in hiking distance, which we use for outdoor play and picnics. The inside of the house is an ideal learning area for young students. Located on the top floor of the house, there is a large kitchen used for art, science, sensory and cooking projects-the messy stuff! The classroom is near the kitchen and is large and sunny with views of the woods. The classroom has a meeting area, block area, instruments, a light table and a dramatic play area. The dining room is available for snacks and lunches. The living room houses the school library and is a good place to spend time alone with a book.